How do I ripen fruit at home? To ripen firm fruit, store at room temperature and out of direct sunlight in a loosely closed paper bag for a day or two. Note; plastic bags are not suitable for ripening fruit, as they will trap moisture and air, which can cause premature spoilage, so always use paper bags. I had no idea that Ontario produced a table grape. When and where are they available? 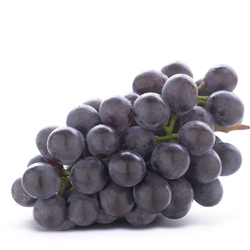 Ontario produces a wonderful virtually seedless grape for eating out of hand called the coronation grape. The variety originated out of British Columbia but loves to grow in the Niagara region. It is available generally the end of August for approximately four weeks in all major grocery outlets. If you don’t see it, ask your produce manager! They also make a wonderful jelly.